Whether you’re planning a city break to Belgrade, a visit to Exit Festival or vacation at the mountains or spas having a SIM card is always useful. If you’d like to buy a SIM card in Serbia here are a few things you need to know. There are 3 most popular mobile network operators in Serbia. These are MTS, Telenor and VIP. When it comes to the signal, all 3 brands cover more than 90% of Serbia’s territory and they offer 4G mobile network. In my opinion, Telenor has the most interesting packages, while VIP offers more convenient packages for new users. Note that this applies if you’d like to sign up for a contract. If you’re buying a SIM card that you will use for only a couple of days the difference is not huge at all, which you can read more about below. Buying a SIM card is easy. They can be bought at any kiosk, store or at the official stores of the mentioned brands. I recommend you buy it at the official store because the kiosks sell regular sized SIM card which won’t work with most new phones. You’d need to trim the card to make it micro. Of course this can be a hassle hence I recommend the official store. Offical stores have Multi SIM card which means you get standard, micro and nano card in one package. If you need the card immediately after you land you can buy one easily at any store at the airport. You don’t need a passport or an ID in order to buy a prepaid SIM card. MTS now also has a special offer for tourists. These are Super Tourist and Tourist SIM card. With Super Tourist SIM card you get 10 GB of internet, 30 minutes for international calls and 120 minutes of mts mobile network calls. The price of this package is 1,800 RSD (15$). Tourist SIM card gives you 3x24h of 4G mobile internet. The price of this package is 600 RSD (5$). Note that some of these options expire after 7 days. You can learn more about this offer by clicking here. WiFi is widespread in Belgrade’s coffee shops and restaurants so if you don’t plan to do a lot of instagramming or to make calls you’ll probably be okay with just a regular sim card too. That’s a pretty sweet deal. But VIP also offers a Visitor SIM which is a great option if you’ll be using internet a lot. For 990 RSD you will get 5GB of Internet and unlimited internet data for Viber. This deal lasts 14 days. You can also make calls with this card but you’ll need to refill it separately for that matter. This is easy. You can top the card from any kiosk or store. You just need to state how much money you’d like to add and give the phone number. Note that this will only be possible if you have a regular sim card. The minimum amount you can add is 200 RSD. If you will get any of the special offers mentioned above or if you’d like to buy extra internet etc. head to the offical store. You can also top the card with your credit/debit card through their online shops. All three brands have a very good coverage and you won’t have any problems unless you are somewhere very close to the border and the signal might be a little bit messy. Using the online shop you can buy internet data and other extra options. Overall, getting a sim card in Serbia is good value for the money. I hope this post will help you buy a sim card in Serbia. Do you have any questions I could answer? Feel free to comment below. A good problem to have is coming to a city and not being able to decide what to do first. Even though you’re excited about the abundance of choices, you can’t seem to narrow them down. In those situations, it’s best to have a local accompany you and show you around. If that’s not an option, a close second is having a really good guide with a list of things you should do. So, if you ever find yourself in Belgrade, Serbia, we made sure you have a detailed list of places to be and things to try. Try to check off as many as possible! Kalemegdan is Belgrade’s largest park and most important historical monument at the same time. That’s why it is the most popular destination among tourists year after year, with around 2 million visitors annually. The base of the fortress was built in 279 BC and it has since been destroyed and rebuilt many times. However, it’s impressive that certain original parts still exist to this day. That’s why it’s protected by the Republic of Serbia. Another attraction is the Serbian Military Museum, located inside the fortress. When exploring Kalemegdan, it’s important to look around, so you don’t miss all of the outer exhibitions! The Fortress is home to one of Belgrade’s most famous symbols, the Victor (Pobednik). The area around the monument probably has the most stunning view in the city. You’ll be able to see the actual confluence of the Sava and Danube rivers, as well as the panorama of Belgrade. Ada Ciganlija is commonly referred to as Belgrade’s Sea. This lake with a huge green area around is a haven for thousands of visitors during the hot summer days. It’s basically an oasis in the middle of a busy, crowded city. If you’re interested in more than swimming and relaxing on the beach, there’s a lot of activities available as well. You can play some sports (tennis, basketball, volleyball etc.) in the courts placed in the forest. Also, consider renting out a bike and going for a spin around the water. Whatever you choose, spend a relaxing day here and you’ll start feeling like a real born and raised Belgrader! You probably know Nikola Tesla as one of the greatest minds of all time. His inventions and patents changed the world dramatically. Therefore, that makes him one of the people Serbs are most proud of. 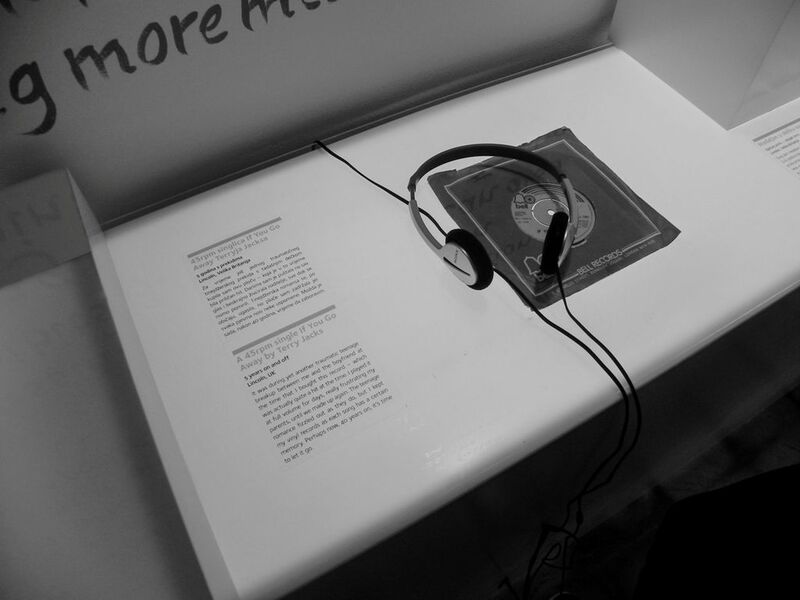 If you find yourself in Belgrade, the Museum is a great way to get to know his work through interactive exhibitions. Visitors will get the chance to actually see in action the things they’ve only read about in theory. Cool, right? You can search through his drawings, letters, and photographs and get a different approach to this genius’ mind. What’s guaranteed is that you’ll leave the Museum with a much better picture of who he was. Remember the address, Krunska 51! This bohemian quarter is often referred to as Belgrade’s Montmartre. When it first started to exist, it was a meeting point for the city’s finest writers, actors, musicians and artists in general. It has to this day managed to preserve that spirit of old, crème de la crème Belgrade. Today, this cobblestone street is lined with restaurants and kafanas. Kafanas are Serbian taverns, where people come to eat, drink and listen to traditional music. Every tourist should at least take a walk through the street, but if you can, sit down for a meal. It will be a special experience. Besides eating some amazing food, you’ll be able to enjoy the Serbian bands playing what is commonly called “old city music”. The romantic atmosphere will make this a night you will remember! National museums are often the best way to get to know a country in only one afternoon. Even though Yugoslavia ceased to exist in the 90s, this is still one of the most visited museums in Belgrade. If you choose to visit, you should know that it consists of three buildings. The most popular one is the House of Flowers because Josip Broz Tito’s mausoleum is located there. An interesting phenomenon is the fact that people from all over Yugoslavia still come to Belgrade for his birthday as a sign of respect. An interesting collection is one of the gifts Tito had received from various world leaders. The Museum also houses around 200,000 photographs, documents, artworks and many other things associated with the history of Yugoslavia. It is an overall great way to get a better feeling of what this great country was like. The Museum is not too far away from the city center and the tickets are fairly inexpensive, so try to stop by! 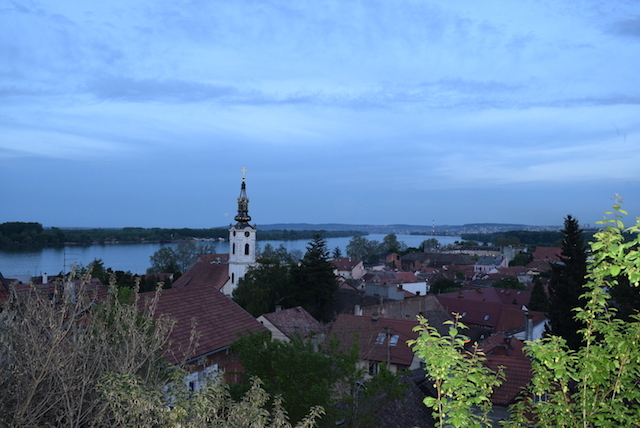 Even though it’s a part of Belgrade, if you go to Zemun, you’ll feel like you’ve gone to another country. Starting from the architecture, everything seems different. This is due to the fact that it used to be a part of the Austro-Hungarian empire. However, Zemun is full of landmarks you should consider visiting! Reaching this will require a bit of walking and climbing, but it will be worth it. Also called Millenium Tower, it was raised by the Hungarians, to mark the 1000th anniversary of their reign in Pannonia. Since it was used as a viewing tower, make sure you climb to the top to see the amazing view which is one of the best in Belgrade. This river island is the city’s very own piece of untouched wilderness. From far away, it looks like a big, lush floating forest. Also, it is an area recognized as being a globally important habitat for many rare birds. Just like Ada Ciganlija, the island has a beach called Lido, which is very popular in the summertime. Some people have even built holiday homes here, in which they spend the warmer months of the year. It is perfect for picnics, enjoying the nature or just pretending you’ve left town and went on vacation! Saint Sava Temple is the most important sacral object in the city. It’s located on the Vracar plateau in Belgrade, and it is known as one of the largest Orthodox churches in the world. The church can receive up to 10,000 people at once and the choir gallery seats 800 singers. The basement is home to an impressive crypt and the treasury of Saint Sava. The crypt is open to visitors, but the inside works in the church are still not completed. If you’re an art geek or if you’re interested in seeing the best examples of Yugoslav architecture, this Museum is something you must visit. Even though it was closed for 10 years, it has now become one of the most interesting cultural institutions in Serbia. Even the way it looks on the outside is an art form. 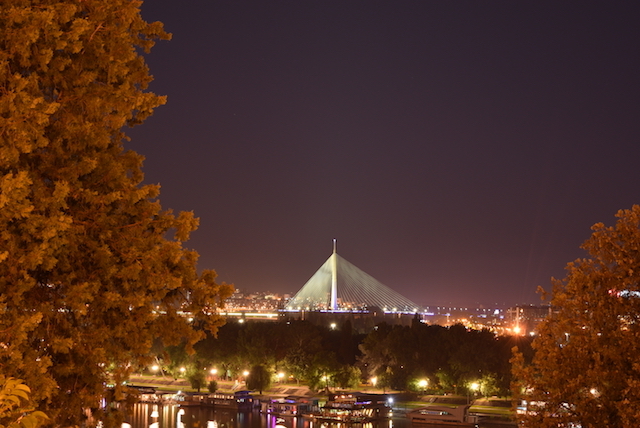 Due to its geometrical shape and the fact that it’s located across from Kalemegdan, it is called “the crystal at the confluence”. It is one of the greatest Yugoslav architectural pieces, and its creators have even received awards for it. Today, the Museum’s fund consists of around 8,000 works. Therefore, this is the best collection of art from the Yugoslav art space. It is modernized so that your experience here would be just as enjoyable as in any big museum in the world. Two other galleries in separate locations are also part of the Museum. Those are the Petar Dobrovic Gallery and the Colakovic Legacy. Both are worth the visit! This is one of the oldest surviving buildings in Belgrade, dating back to the 1800s. If you’d like a glimpse into the Serbian royal family’s life, this is where you should go! This house was built for Princess Ljubica, wife of the first Prince of Serbia, Milos Obrenovic. Even though stories say she was a very humble woman, her husband still wanted the residence to demonstrate power and strength. The interior perfectly shows the transition from Ottoman to European styles. In fact, the residence has a permanent exhibition dedicated to the interior of 19th-century homes in Belgrade. The Princess was one of the most interesting, headstrong women of that era. If you’d like an authentic, close look at her life, the Coffee at Princess Ljubica’s tour is just for you. You’ll sit down for a cup of traditional Turkish coffee and listen to what life was like through her eyes. She’ll tell you her intimate stories you won’t find in history books. Don’t be surprised if you leave the residence feeling like you’ve actually got to know her as a person. P.S. Remember to ask for the tour in English since there’s a Serbian version too! This is the only mosque in Belgrade, Serbia. Also, it might be the oldest standing building in Belgrade, since it was built in the 16th century. Just like the entire city, it went through a series of drastic changes to get to where it is today. During the Austrian occupation, the mosque was actually turned into a Roman Catholic church. When the Turks returned, it became a mosque once again. 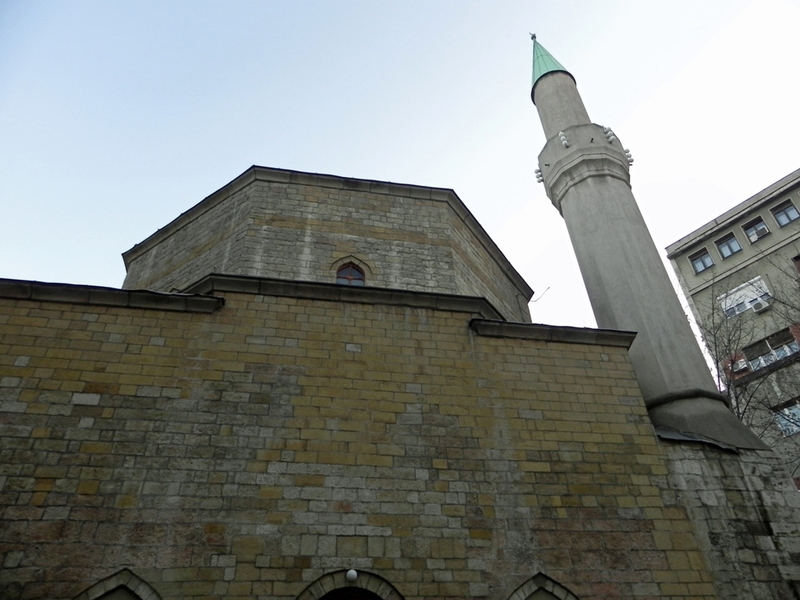 Now, it serves as the main Islamic cultural center in Belgrade. It is worth the visit, at least only for the historical endurance it has sustained over the centuries. If you’re lucky you’ll be in Belgrade in time for their traditional annual feast. They celebrate Eid al-Fitr, an important religious holiday, by preparing and giving out lots of delicious food! Just like Serbia was influenced by many different cultures and nations, the food is an interesting concoction as well. Serbia is heaven for foodies, especially those who love meat and well-seasoned dishes. 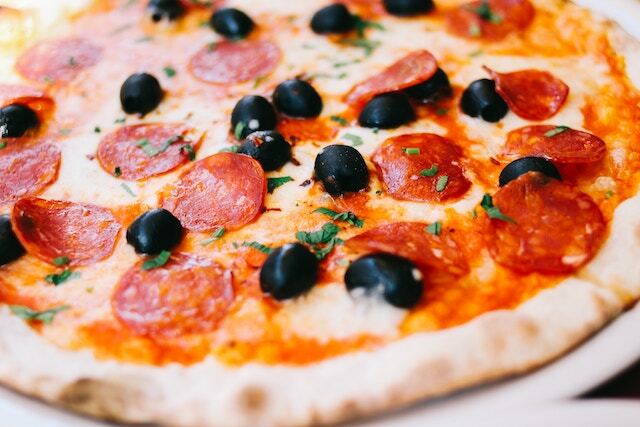 While you’re in Belgrade, try to eat like a local. Even though fast food is popular here like everywhere else, people in Serbia will never give up their traditional, homemade dishes. Preparing food is more than mixing ingredients. It’s a way to gather the family. There’s a couple of local specialties you must try while you’re here. Everyone’s favorite is sarma (cabbage filled with minced meat) and prebranac (baked beans). Serbians eat a lot of grilled meat, so try cevapi or pljeskavica. One of the things Serbia is most famous for is the amazing traditional food. Besides wanting their food to taste good, Serbians are passionate about it being organic and locally grown. That’s why they usually get their groceries at local markets. If you still haven’t experienced a Serbian market (called pijaca), you don’t know what you’re missing. It’s not just a place to go and get some fruit or vegetables and go home. In fact, it is a much more personal experience. When you walk in, you’ll be overwhelmed by the amount of fresh, affordable produce. Then, you’ll realize that people in Belgrade are very friendly with their vendors. If you know some Serbian, you’ll recognize they’re asking each other about their families and friends. It’s truly something you must see for yourself. Also, prepare to taste the most delicious fruit of your life. They’ll tell you the secret to it is only nature and good care. A bonus tip: ask around and find out if there’s a Night Market any time soon. It’s a manifestation designed to bring the markets to life after the sun sets. The difference is that, besides groceries, you’ll be able to buy a much greater variety of products. You’ll see everyone from young designers, winemakers, and artists, to small family workshops among the exhibitors. All of that is accompanied by either a performance by a band or a DJ. Night Market (various locations across town). Check FB events! 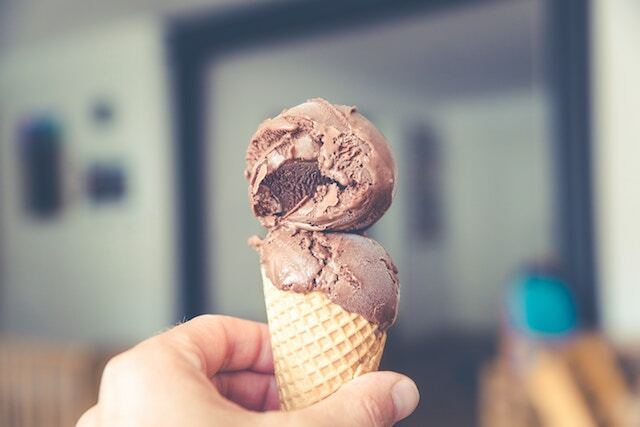 In the past couple of years, many independent ice cream shops have started working and have reached popularity quickly. 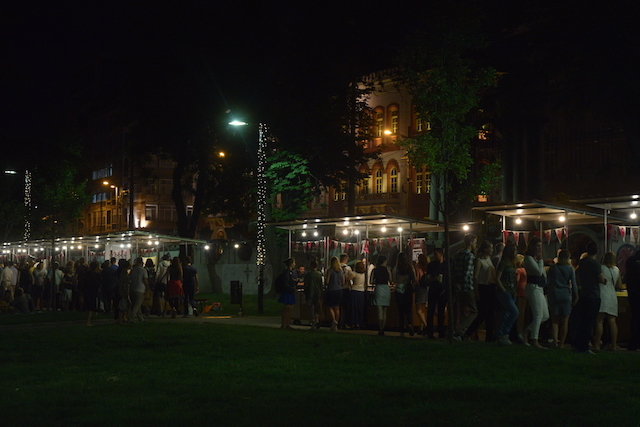 People in Belgrade love that they can now enjoy high-quality treats made from fresh ingredients at any time of year. Also, everyone seems to be happy to see local businesses grow and expand. That’s why it’s not strange to see huge lines of people in front of these shops. With vegan and sugar-free options, as well as some never-before-seen flavors, they are suitable for every type of visitor. We guarantee you’ll be able to taste the care and love put into each scoop! Continuing in the same spirit, we have a couple more dessert recommendations. Belgrade is becoming richer in unique cake and pastry shops. There are more and more small, one-product oriented places that have already become everyone’s favorites. You should definitely consider trying a Serbian specialty called knedle (a potato-based dough filled with plums or other sweet filings). It’s something everyone from Serbia has eaten at their grandma’s house at least once in their lifetime. Luckily, you can now try them on the streets of Belgrade. 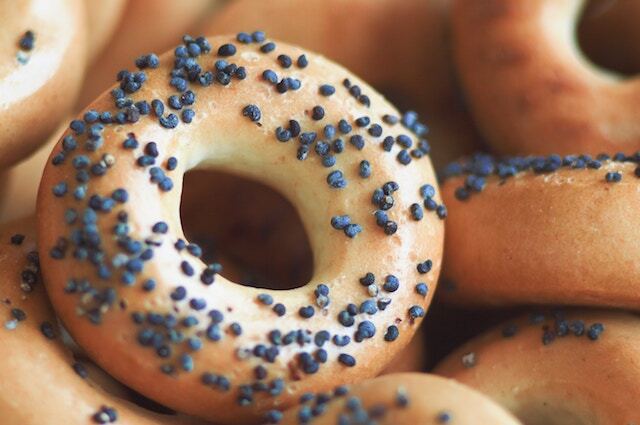 If you’re a donut lover, there’s a couple of shops that specialize in them only. They offer everything from basic flavors to some more exotic ones. Either way, you can be sure they’ll be perfect with a cup of coffee. Last but not least, a stop on your way should be a candy shop called “Bombondzija Bosiljcic” which was founded in the 1930s. Still at the same exact place, with the same quality, this shop’s products are all handmade. They’re mostly known for their Turkish delight, but check out the lollipops and candy as well! Just like everywhere else in the world, life in Belgrade can get hectic and fast. One of the upsides of that is the growing variety of street food. Even if you can’t use lack of time as an excuse, make sure you stop by some of them. One of the typically Serbian “traditions” is grabbing a bite in a bakery right after a night out. Whatever the time of day may be, make sure you don’t leave Belgrade without trying burek. Burek is a flaky filled pastry, usually made with meat or cheese. Also, don’t be surprised if you end up trying the best burger of your life in Belgrade. Some street restaurants have gained a reputation for being as good as those in the USA, or even much better. The ritual of having conversations over a cup of coffee is something specific for this part of the world. Unlike some other places, where people drink coffee on the run, this is something completely different. 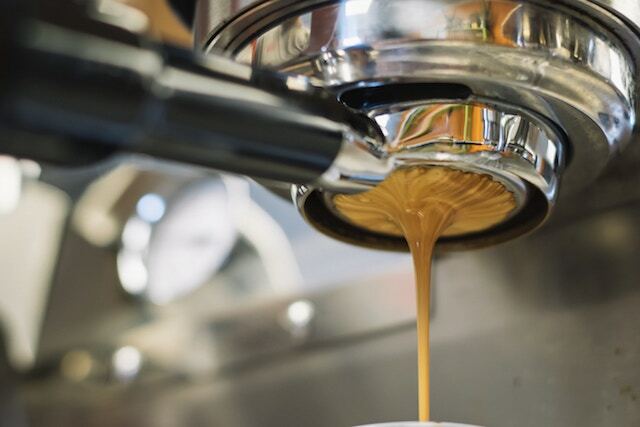 People in Belgrade can drink one cup of coffee for hours. The day can turn into night and you’ll still see the same group of friends chatting, without a break. It’s, essentially, a way to bond and spend quality time together. Even though the coffee part seems like a completely insignificant factor, it’s important that your cup of joe is perfect. The content look on people’s faces after the first sip makes for a smooth start to a conversation. If you’d like to experience the Serbian coffee culture, here’s a couple of places you should visit. Let’s face it, the ambiance is just as important as everything else! Everyone who has been to Belgrade will tell you that the nightlife here is something incomparable. The city literally never sleeps, especially during the summer. Depending on what you like, there’s definitely a place for you somewhere. A night out usually starts in a bar. People meet up for drinks at their favorite spot and perhaps listen to some live music. If you don’t have other plans, that can also be the end of it. However, if you’re in the mood, transfer to a nightclub or a splav. Splavs are located on Belgrade’s most prominent features – its rivers, and they’re most popular when the weather is warm. 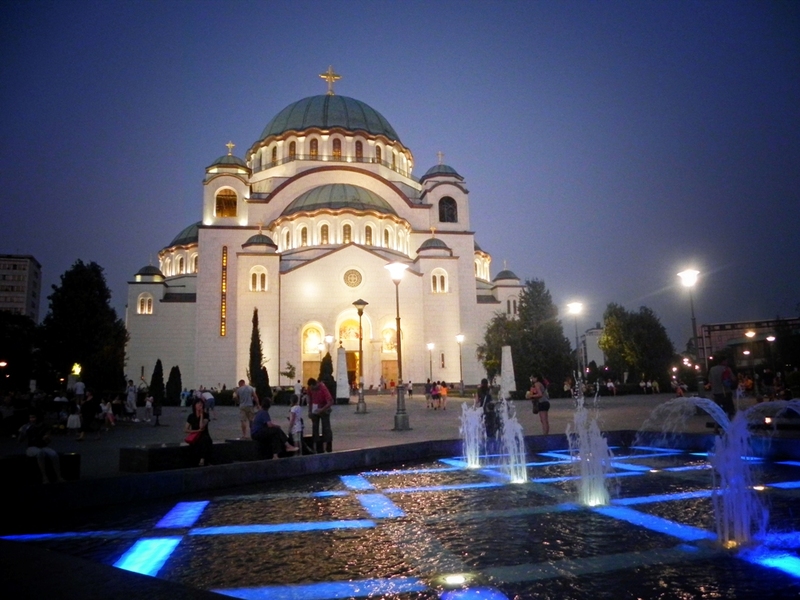 We hope you liked this extensive guide on best things to do in Belgrade, Serbia. If you need help to plan your Belgrade trip check our consulting services. In recent years Serbia has become a growing tourist destination in Europe. New trends show higher interest in Eastern Europe, and Belgrade is one of the leading destinations when it comes to city breaks in the Balkans. It is rich in history, it offers numerous cultural activities and events, but it is also famous for its great nightlife. Novi Sad is well-known for its Exit Festival and other cities in Serbia are also interesting to foreign tourists. Serbia’s mountains and spas attract outdoor buffs and those who are seeking adventure and relaxation. Kopaonik and Tara national parks are amazing destinations for hiking, skiing, and other activities. Eurovelo cycling route 6 also passes through Serbia and offers a mix of everything- cycling, rural tourism and culture in the cities. 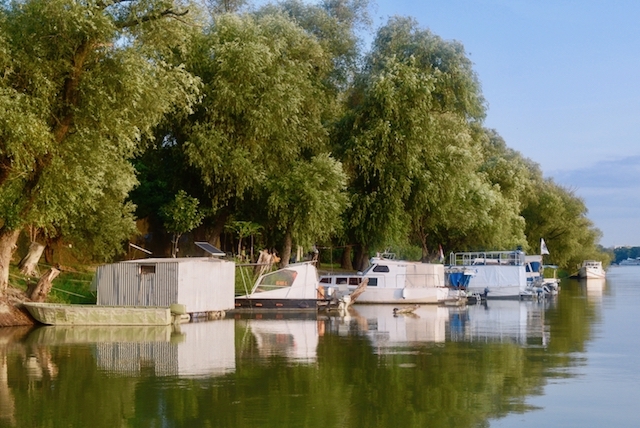 There’s more – Danube, villages, wine tasting, bird watching. Serbia has a lot to offer and we urge you to explore it. Our team that consists of experts on Serbian tourism will be more than happy to help you out. If you are ready to explore Serbia or Belgrade but have a lot of questions and are not sure where to begin we can help. We offer consulting services via Skype or email where all your questions will be answered – whether that’s how to navigate around the country, which sights to see or where to stay. Just note, we are not a travel agency so we do not sell tours, accommodation or train tickets, although we can help you out with suggestions and reservations. Would you like to have an itinerary for your trip? We can help you create one and we are also knowledgable in special travel interests. We can tailor your trip to your specific interests – whether that’s culture, museums, business travel, LGBT scene or outdoor and recreation. Price – itinerary pricing depends on a different factors. Contact us for more info. If there’s anything else that you need during your trip in Serbia, feel free to contact us. Reach us via our contact form and include as much details as possible. We’ll get back to you as soon as possible. Did you know that Serbia was the first country to be declared Judenfrei (free of Jews) during the Second World War? This was in early May of 1942. Belgrade was also the only capital city with a few concentration camps. 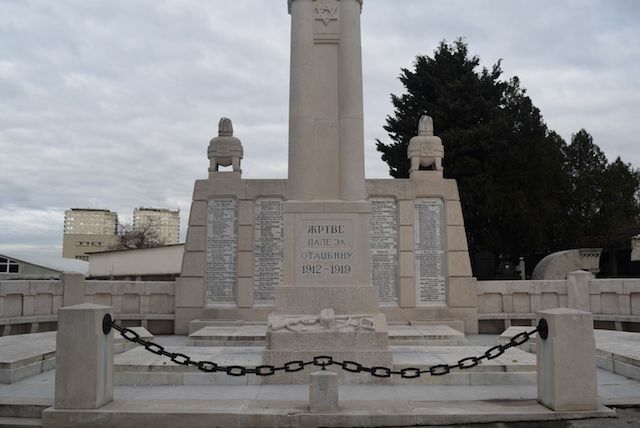 This guide to Jewish sites in Belgrade will point some of the most important landmarks in the city that are related to Jewish history and Holocaust. The Jewish Street (Jevrejska ulica in Serbian) is a place you cannot miss when exploring the Jewish heritage in Belgrade. Jews lived here until the beginning of the First World War, and this region of Dorcol was a famous Jewish settlement. Before the Second World War, about 80% of the Jewish population of Belgrade belonged to the Sephardic group. 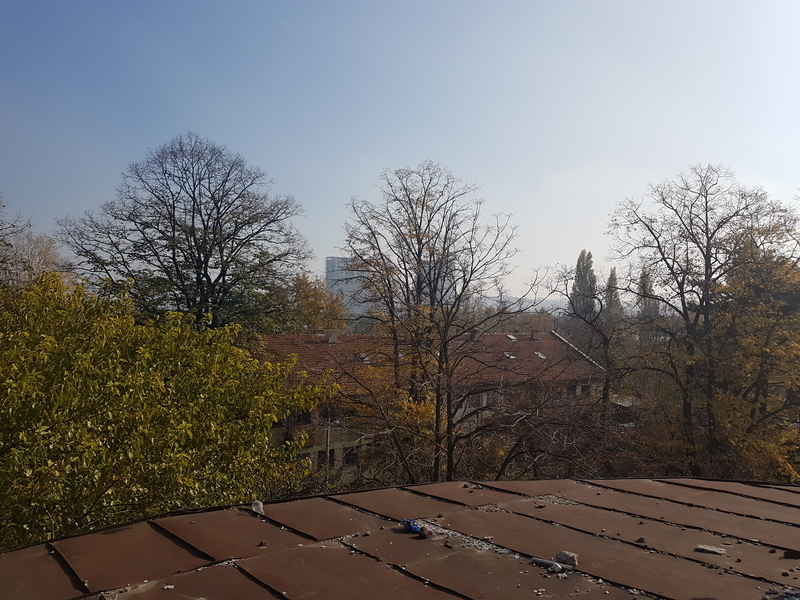 After the Second World War, the Jewish community was almost completely destroyed and this region of Belgrade, which was home to one of the oldest synagogues was badly damaged. The Jewish street is home to the Oneg Shabat building, which was built by the same association in 1923. The Belgrade Synagogue, better known as the Sukkat Shalom Synagogue, was completed in 1925. This was the sixth synagogue built by the Jewish community in the capital of Serbia. 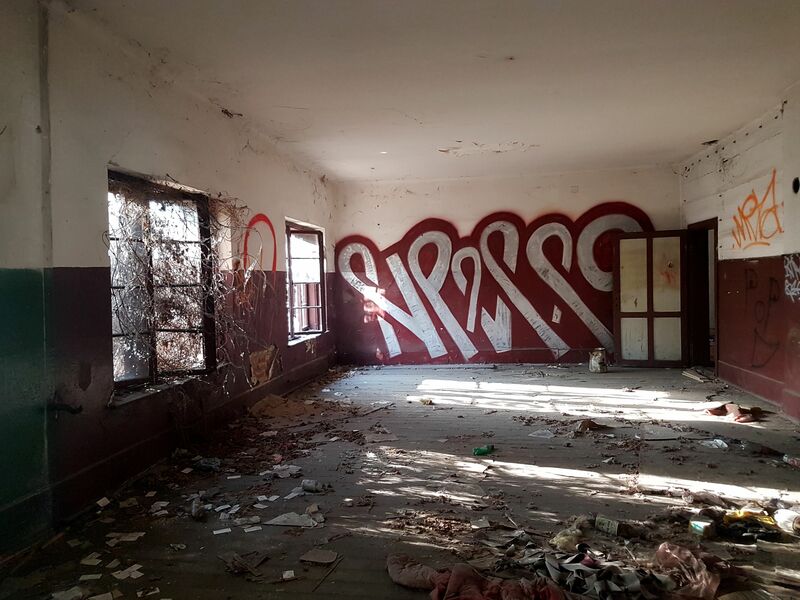 It was desecrated during the Nazi occupation of Belgrade and turned into a brothel. From the street, you will be able to see just the upper part of the synagogue which is the only active synagogue in the country. It has a nice and spacious courtyard. Located in one of Belgrade’s most notable streets – Kralja Petra Street, this museum showcases the Jewish heritage and history at the territories of former Yugoslavia. 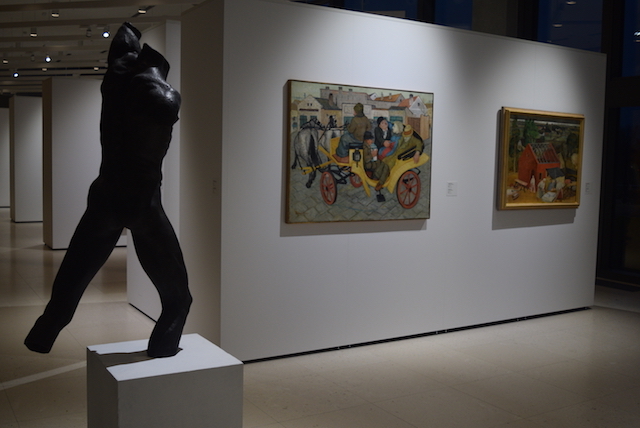 The exhibition is small but well presented – from the arrival of Jews to the Balkans to the Holocaust and their rehabilitation after the Second World War. The entrance is free and the museum is part of a Jewish Cultural Centre. The information in English is a little bit scarce, but a visit to the museum is more than worthy. There are two Jewish cemeteries in Belgrade. The bigger and most famous one is a Sephardic cemetery in Mije Kovacevica street. The other one – Ashkenazi cemetery – is part of Belgrade New Cemetery. Both are visible from the main street. The Sephardic cemetery has more than 4,000 tombstones and a number of important monuments such as the Monument dedicated to Jewish victims of fascism. In winter months the cemetery is open from 8 am – 7 pm and in summer months from 8 am – 7 pm, Monday – Friday. 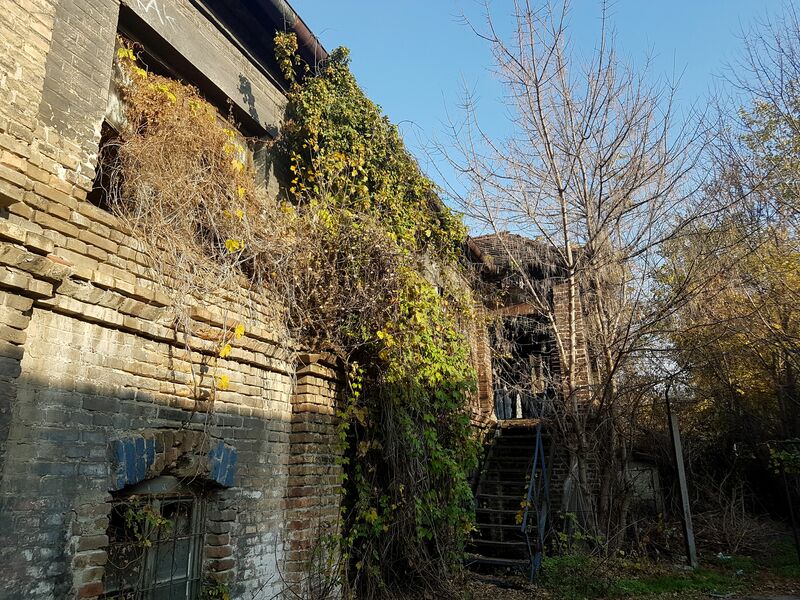 Sajmiste used to be a Nazi concentration camp on the left side of the Sava river, also known as the Semlin Judenlager – the Jewish camp in Zemun. At that time Sajmiste was part of the Independent State of Croatia. Besides Jews, the camp also held captured Yugoslav Partisans and Chetniks. The estimated number of deaths at Sajmiste ranges between 20,000-23,000 people. Originally planned as an exhibition center, with several architectural pieces of industrial design already in place, it turned out to be one of the most horrific places. Croatian ustashe who were in charge of this area persecuted more than half of Zemun’s population – including Jews, Serbs, and Romani citizens. The camp was officially closed in July of 1944. Before that, it was bombed by the Allies in April of the same year, killing more than 100 prisoners. According to the Serbian Helsinki Committee for Human Rights, the camp had around 50,000 prisoners and 20,000 of them were killed. Unfortunately, there is no museum or a memorial center in the area of Sajmiste, and many visitors don’t even know of the existence of this place or its history. However, a several plaques are located along the banks of Sava river and a monument which commemorates those detained and killed in the camp. Jajinci is a neighborhood that belongs to the Belgrade municipality of Vozdovac. It’s known for one of the worst reprisals in the Second World War, where more than 80,000 people were killed. Majority of them were the prisoners of the Banjica and Sajmiste concentration camps. A monument to the victims was erected in the park in 1964. A trip to Jajinci Memorial Park can be combined with a visit to Avala as they are relatively close. Belgrade’s municipality of Zemun is home to a Rabina Alkalaja street. At the time of Austro-Hungarian rule, the street was called Jewish street. Rabin Alkalaj was born in Sarajevo, but he moved to Belgrade when he was 25 where he became a teacher and then Rabin. An Ashkenazi synagogue which was built in 1850 is still presently located here. Another street in Zemun – Dubrovacka street – is home to the Jewish Community of Zemun. A little-known fact, even among the citizens of Belgrade, is that one of the busiest traffic points in the city, called Autokomanda, was a concentration camp too. The site was known by the name “Topovske supe” and it mostly held Roma and Jewish men. The site is a little bit difficult to reach. You’d have to pass by several ruined industrial buildings in order to reach this place, which used to be an artillery depot during the Kingdom of Yugoslavia. No monument dedicated to the victims exists here, and if rumors are true, the largest shopping center in the Balkans will be built on the place of this site. The Banjica concentration camp used to hold captured Serbs, Jews, Roma and other opponents of Nazis. More than 20,000 people were detained here, and 12,000 of them were detained by the Gestapo. The camp was known for its brutality and inhuman conditions. It was closed in 1944. The museum was officially opened in 1969 and it houses more than 400 items. Most of them include photographs, personal belongings, documents and a scale model of the camp. There’s also a reconstruction of the prisoner’s room. Museums are almost always an integral part of everyone’s itinerary when visiting a new destination. Yet, they are not among top associations when you think of the Balkans – it is nightlife, food, lovely beaches and nature. However, Balkan cities have some real hidden gems and fantastic niche museums that are well worth the visit. 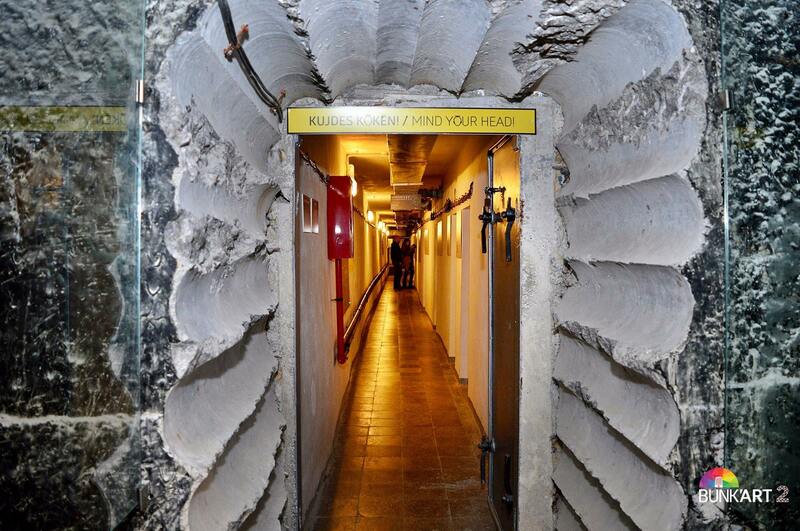 From broken relationships to aviation, nuclear bunkers and science or the communist retro past, these 7 cool museums in the Balkans are waiting for you to discover them! Next time you’re in the Balkans look beyond the main attractions and go visit one of these museums. 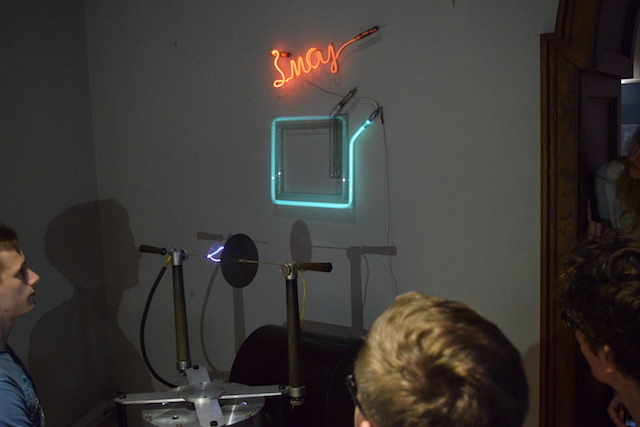 What started as a traveling exhibition ended up being one of Europe’s most innovative museums. The exhibition consists of objects sent by contributors from around the world which are accompanied with a personal story. These objects can be anything from a fluffy toy or music CD to something more extreme such an axe. Stories, on the other hand, hide much more powerful message – they are packed with satire, hatred and hurt. 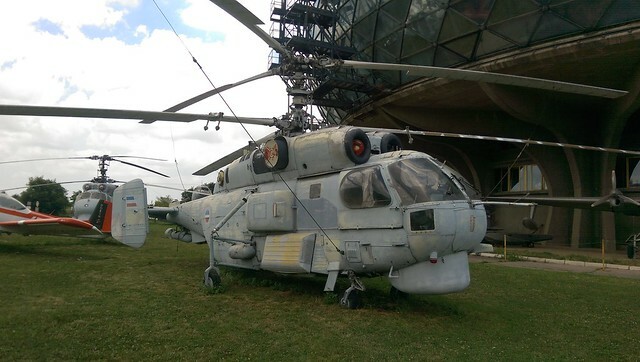 If you happen to fly into Nikola Tesla Airport, the main airport serving Serbia’s capital, don’t miss the chance to visit the Museum of Aviation which is right next to it. You’ll easily recognize its geodesic glass building which houses more than 200 aircraft previously operated by the Yugoslav and Serbian Air Forces. The most important displays include the USAF F-117 Nighthawk and F-16 Fighting Falcon which were shot down during the NATO bombing of Yugoslavia in 1999. There is also an outdoor exhibition with more than 10 large airplanes. You can also go to the museum by catching the bus #72 from Zeleni Venac station. If you’re a science freak you don’t want to miss Noesis – Science Centre and Technology Museum in Greece’s second largest city. 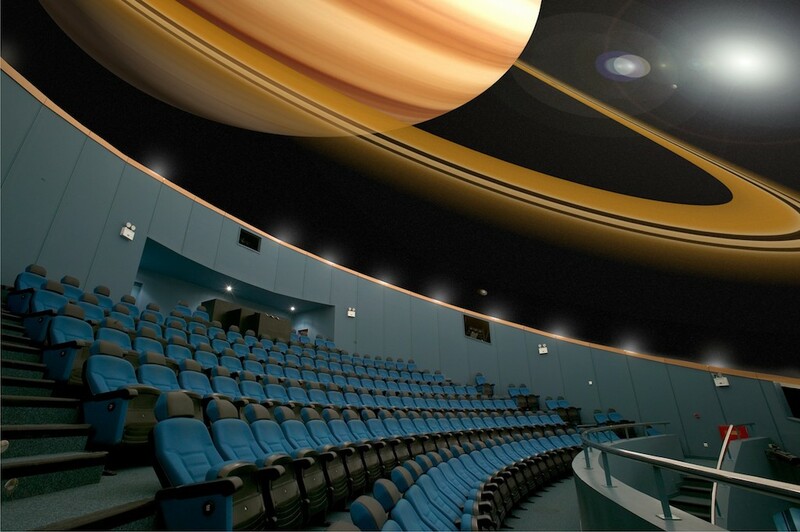 Go watch an astronomy show at the Planetarium, a 3D movie in the Cosmotheater or do a ride show at the Motion Simulator. After the Science Centre go to the Museum which consists of three main exhibitions. One is dedicated to classic cars, the other to technological innovations and works of Ancient Greeks and the last one is Technopark – an interactive area where you can learn more about the world of physics. It’s a fantastic experience for people of all ages! Also known as the Ark, this former nuclear bunker was built to protect President Tito and his close inner circle in case an atomic conflict happened. The bunker is located near the town of Konjic in Bosnia and Herzegovina and the public only heard about it after the breakup of Yugoslavia in the 1990s. It was one of the largest underground complexes in the former Yugoslavia. To get an idea of how big it is, it had Tito’s residence which consists of 5 rooms, over 100 rooms in general, two conference centers, two kitchens and even a fully operational hospital. You are allowed to sit in Tito’s chair and take photos by his portraits. 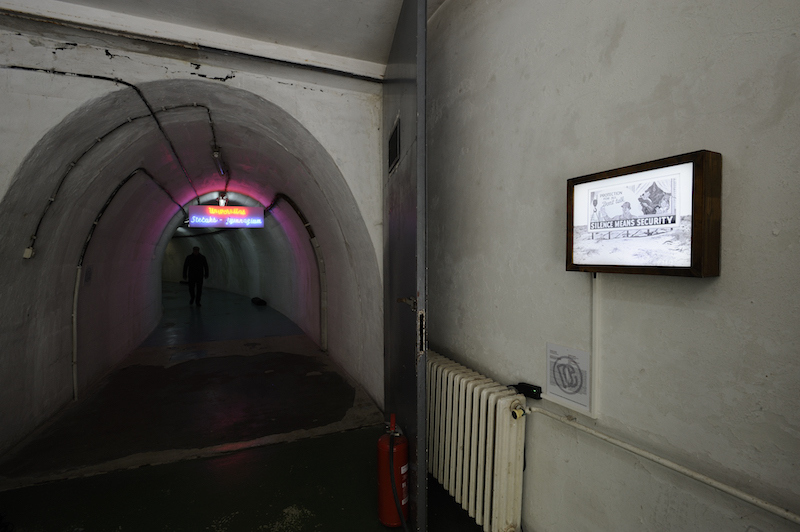 The bunker also has an art installation from various European artists. If you’re a fan of history you’re gonna love Retro Museum in Varna which opened its doors in 2015. This relatively new museum will take you back in the period between 1944-1989 during which socialism flourished in Bulgaria and other countries. The highlight of the museum is the rich collection of 50 cars which includes some legendary names such as Trabant, Volga, Wartburg, and Moskvich. Walking along the red carpet you’ll pass by figures of Lenin, Stalin, Karl Marx and other leaders of the socialist movement. The museum also has a nice collection of household items, cigarettes, food, cosmetics and other brand products people used under the Communist regime. If you happen to visit the Bulgarian coast for holidays and stay in Sunny Beach or Golden Coast, considering stopping in Varna and visit this interesting museum. 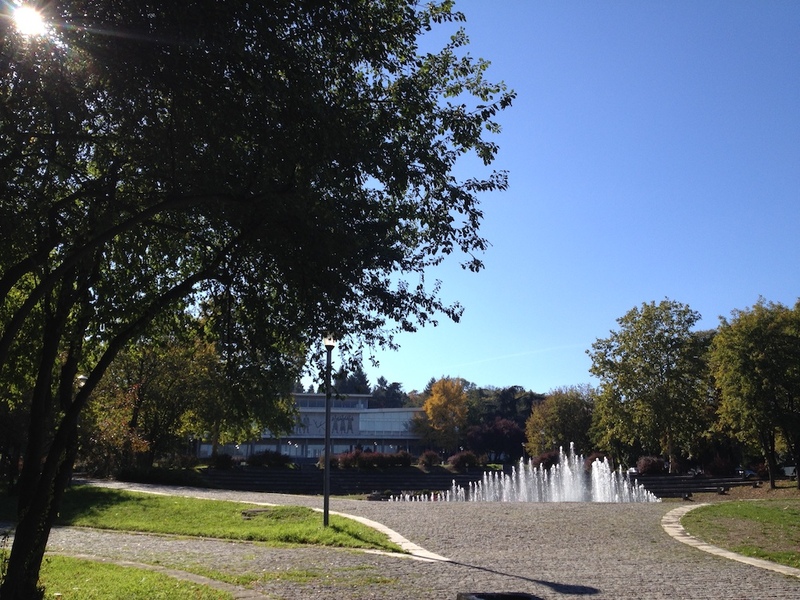 No visit to Belgrade could be complete without visiting the Museum of Yugoslav History and the House of Flowers – the resting place of Josip Broz Tito and his ex-wife Jovanka Broz. Every year on May 25th Yugonostalgics from Serbia and the former states flock here to commemorate his birthday. The museum has more than 200,000 artifacts showing the history of Yugoslavia and its nations. Museums are mainly centered around Tito, the gifts he received from youth, workers and foreign politicians. The Museum 25th May is also part of this large complex and is included in your ticket. At the moment it is hosting a fantastic exhibition dedicated to Yugoslav workers in Germany and Austria on temporary work. Plan at least half a day for a visit to this complex. You won’t be disappointed. Albania is one of the countries that suffered the most from the Communist regime. It is home to thousands and thousands of bunkers that you’ll spot pretty much everywhere – on mountains, beaches, cities. In fact, just after leaving the Warsaw Pact the country built 700,000 of them. Since they were extremely hard to destroy locals found the way to make them a bit more aesthetically pleasing by being artistic and decorating them in different colors. 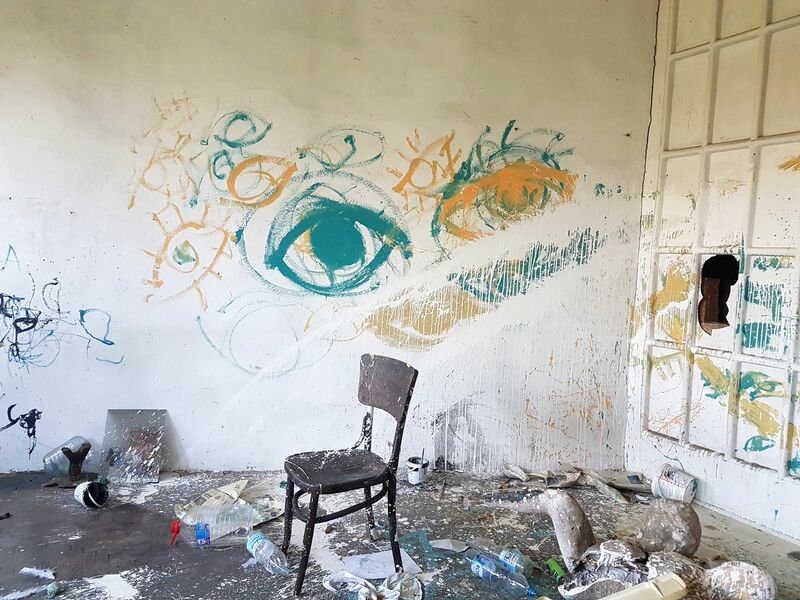 BUNK’ART is a place where you can learn more about Albanian history during the Communist regime and the lives of its citizens. There’s also another bunker called BUNK’ART 2 which reveals the secrets of Enver Hoxha’s secret police. Did you like this list? Which cool museums in the Balkans do you recommend? The Balkans are not the first place that comes to mind when you think of wine. It’s not even among the top regions where wine is produced. But did you know that three Balkan countries are among top 20 wine-producing countries? That’s right. They are Romania, Greece and Serbia. Wine was never the most popular alcoholic drink in the Balkans. Rakija and beer have always been a favourite choice of the locals and what makes the situation even worse is that low purchasing power of the market dictates higher consumption of cheaper products. Yet, three Balkan countries – Romania, Greece and Serbia – are among the top 20 wine-producing countries. Through international fairs, mapping of wine routes and festivals, this region is slowly piquing an interest of wine lovers around the world. This festival which is already in its sixth year was the first of its kind. It showcases regional wines while drawing attention to this interesting region. It hosts world famous wine connoisseurs, who judge wines of different Balkan producers and welcomes wine merchants, journalists and bloggers from some of the strongest markets – USA, UK, Japan, Russia, Germany and the Scandinavian countries. The Grand Trophy for 2017 was taken by Bulgaria’s Rumelia Wine Cellar and their Mavrud Reserva 2013 red wine. Its indigenous region is Thrace in Bulgaria and its multilevel aroma with nuances of dry leaves, seasoning and resin won the hearts of the jury. The White Wine Trophy also went to Bulgarian winery Edoardo Miroglio and their Elenovo Chardonnay 2015. The festival mostly showcases Bulgarian wines with appearances of few wineries from other countries, but it is still among top wine festivals in the Balkans. Also, don’t forget to check out my Sofia travel guide with all the tips and suggestions. If you need accommodation check out Booking. Kavadarci, a small town 100 km away from Skopje, has been a heart of the Macedonian wines for a long time. This region is better known as Tikves and the largest winery in the Southeastern Europe is located here. The wine tradition that goes all the way back to the ancient times continued with an annual festival that lasts for several days. Beside the wine events, the festival hosts art exhibitions, sport events, music programs and more. The winery has its restaurant, souvenir shops and offers guided tours to visitors. The wines of Tikves Winery have won numerous awards at international festivals including the Concours Mondial in Brussels, Decanter World Wine Awards, International Wine Challenge, Chardonnay du Monde and others. Some of them are: Vranec Special Selection 2015, Cabernet Franc Special Selection 2016, Alexandria Red 2015, Chardonnay Special Selection 2015. The less known wineries from the city are Popov and Chokorovi. Smederevo Autumn has been one of the most important tourism events in the city of Smederevo and one of the oldest in Serbia. It originates from the 1888 and the tradition has been preserved till modern days. Smederevka is one of the leading autochthonous types of grapes from Smederevo’s vineyard. It’s famous for its soft aromas of lime and lemon with mild herbal characteristics. As one of the biggest wine regions in the country, it is home to five wineries. Smederevka from Janko Cellar Winery is a good representative. According to legend, Dionysus – the Thracian god of wine – was born in what is now Romania, and Plato declared its vineyards to be the best in the world. Romanians have been making and drinking wine for over 6000 years. The Wine Festival of Romania, brings together crème de la crème of Romanian wines accompanied by international varieties. In the span of two days, more than 2.500 wine connoisseurs gather along with wine specialists, wine cellar owners, to enjoy the rich selection of wines specially made for them. You’ll get the opportunity to taste the best of Murfatlar, Jidvei, Cotnari, Vincon, Tohani and best of small production wineries. If you think you’ll be bored with the surplus amount of Romanian wines – you’d be wrong. The RO-Wine presents over 300 wines from France, Italy, Republic of Moldova, Argentina, Spain or Chile. This easily makes it one of the best wine festivals in the Balkans.